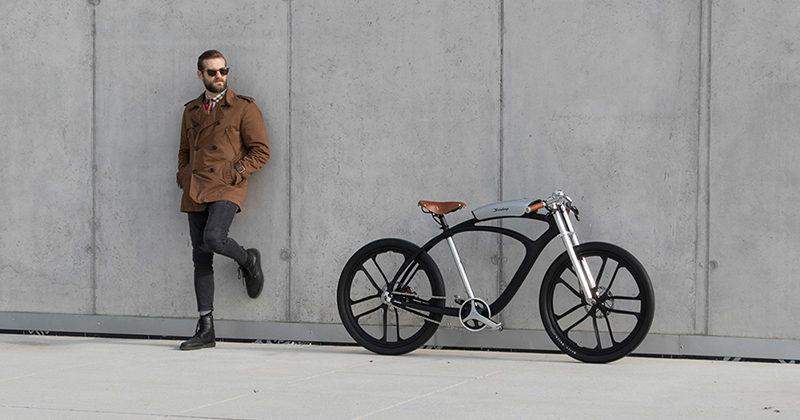 Noordung, a company based out of Slovenia, specializes in creating unique, handmade, urban electric bikes. 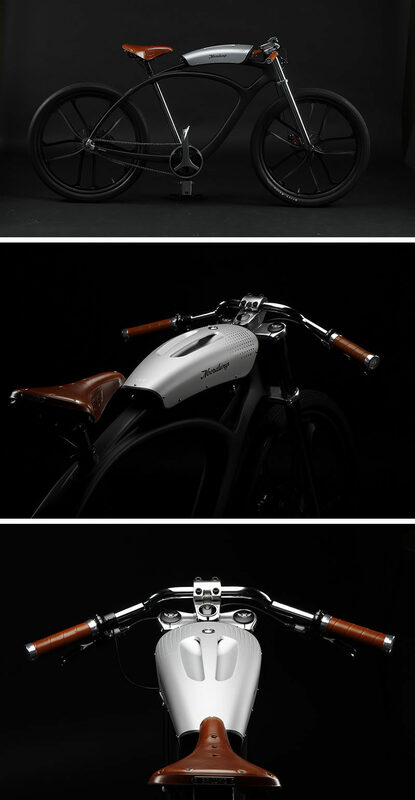 Their first series, Noordung Angel Edition, will only consist of 15 of the bikes making them an exclusive bicycle made for the true cycling enthusiasts. 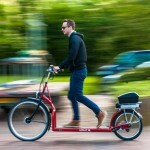 The bikes have a number of unique features that set them apart from other electric bikes already out there. 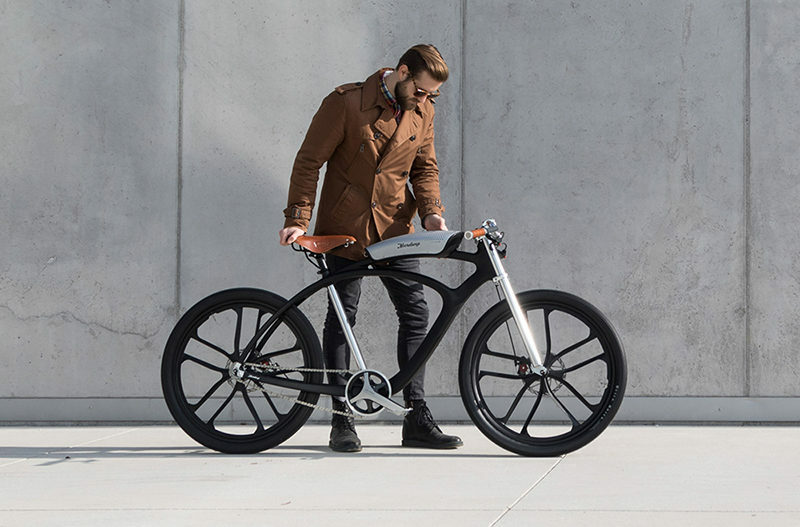 For example, despite the large size of the bikes, their forms are made from carbon fibre, making them among the lightest electric bikes in the world. 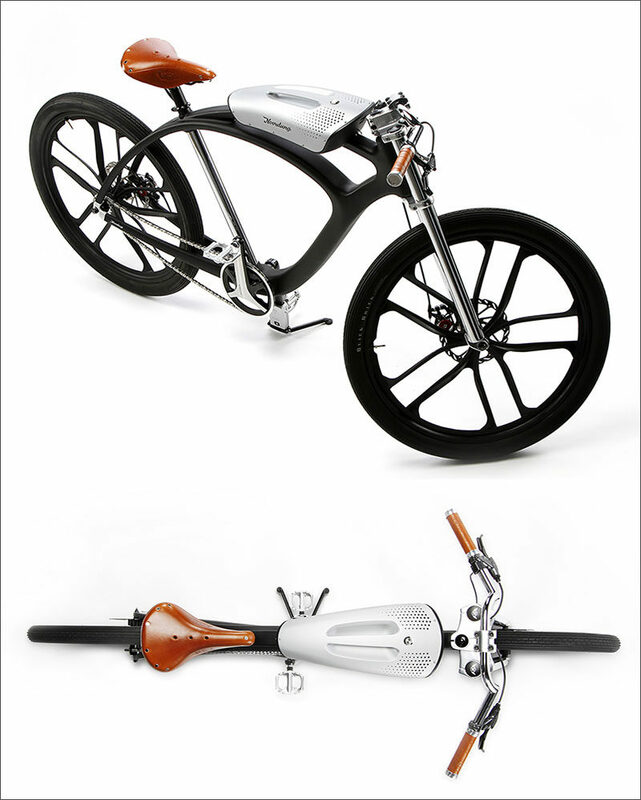 Their motors are also tucked into the frames to make the bikes that much sleeker. 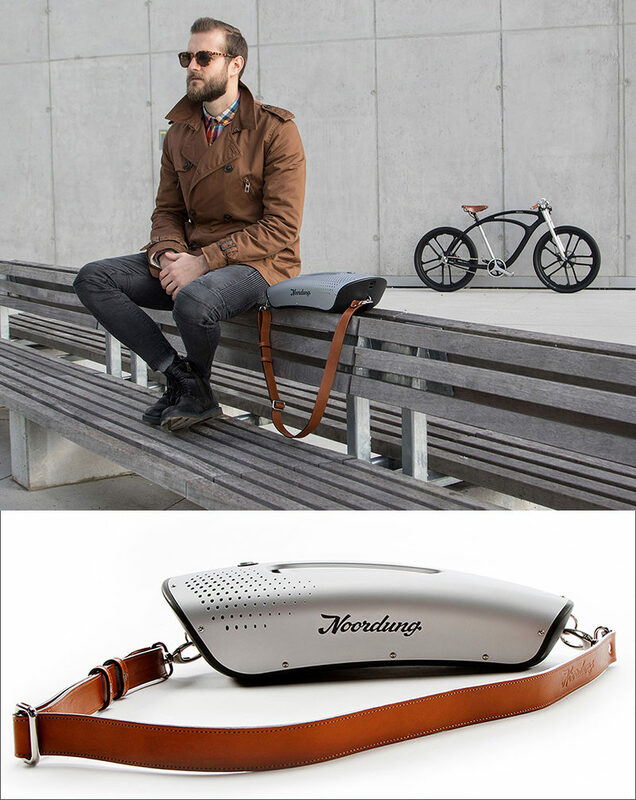 The most innovative part of the Noordung bikes, however, is 4-in-1 removable battery pack that sits on the top part of the bike. 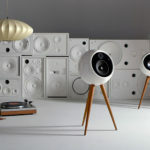 Also made from a carbon fibre body, the battery pack is also a state of the art speaker system that holds two small speakers that pack large sound for up to 100 hours. The 32 lithium batteries inside the boombox/battery pack also power the pedal assistance and supply power to any devices you might want to charge. That’s right, the boombox/battery pack also houses 2 USB ports that allow you to charge your portable devices while you’re on the go. And, to make it even more incredible, the battery pack also has 2 air quality sensors that analyze the air around you as you ride and suggests cleaner routes when the air becomes too polluted.